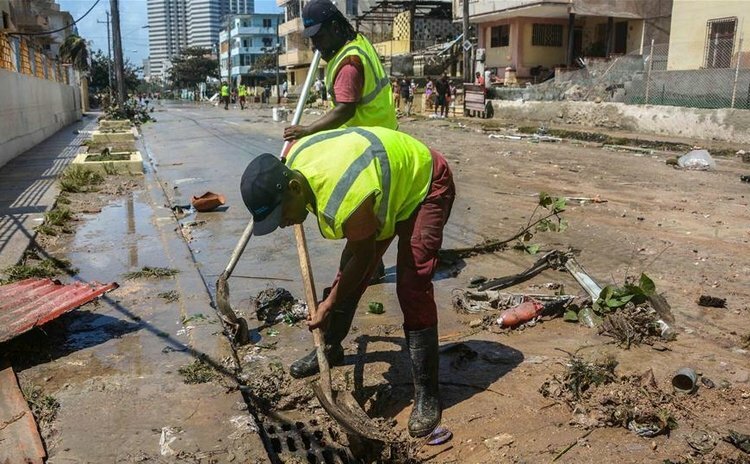 HAVANA, Sept. 11 (Xinhua) -- Hurricane Irma left at least 10 dead in Cuba on Monday, said a report of the Civil Defense aired by the island's state television. "After the passage of the dangerous Hurricane Irma all over Cuba, at least 10 deaths have been reported in different provinces," said the Civil Defense. The deceased are from the provinces of Havana, Matanzas, Camaguey and Ciego de Avila, located in the central and western zones of the island. According to the preliminary report, most of the people died in collapses of buildings and extreme floods on the north coast of the country. The Cuban capital of Havana was damaged beyond recognition Sunday after Hurricane Irma whipped the northern coast of the Caribbean nation. The hurricane also battered Cuba's tourism infrastructure. After tearing through Cuba's northern coast, the most powerful storm ever recorded in the Atlantic made landfall Sunday in the Florida Keys, a coral cay archipelago located off the southern coast of the U.S. state of Florida, with rains and winds of up to 210 km per hour.